We provide a Design service based on over 20yrs experience in designing and constructing Nature Based Play projects. All our designs are unique, responding to place and based on a foundation of proven design, broad based play outcomes and nature inspired forms. We design our Nature-based Spaces for our prime users, the kids, and our nature playgrounds positively support their childhood development. We collaborate closely with the client and community on design elements, ensuring the final design enhances the site and meets client’s needs. We cater for all budgets and sites, and can design around client budgets, ensuring final design and construction will maximise outcomes within budget. Design work is usually committed to before project commencement. larger integrated Nature Play Adventure Scapes. Costs range from <$20k for small projects; $20k – $100k for medium; over $100k for larger projects. We also design, supply and install smaller modular type Nature Play Pods and Starter Play Pods to cater for smaller spaces and budget projects. Working on a pre-fabrication design and install model, this allows clients to get a quality Nature Space, without a large budget. 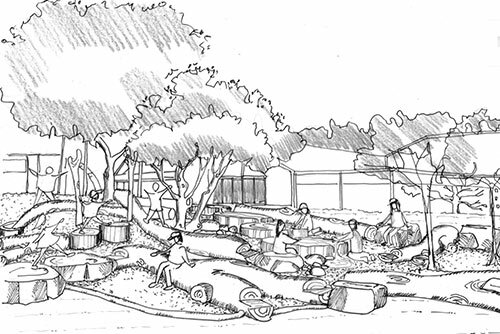 As part of the innovative Nature Based Play design, we can also go beyond Nature Playgrounds, incorporating Outdoor Learning, Educational and Cultural Design elements. Utilising the Nature Space for outdoor learning provides added opportunities for schools and communities beyond play. Cultural Design involves incorporating local culture within the design, and sharing stories of the local area with the children and adults who use the Nature Space. It can be from symbolising the local community’s ideals and sense of place, through to traditional local Aboriginal Culture. NBP works with local Aboriginal Communities to incorporate Aboriginal Cultural Design into the Nature Based Space. This can enhance the site with local aboriginal heritage, providing a cultural place for the community to interact and connect with local Aboriginal Culture by experiencing directly and subtly Aboriginal Cultural design features. As part of our design service NBP can support clients and communities with grant opportunities by providing information and documentation on Nature Based Play. We also conduct research to analyse the usage and benefits of our Nature Spaces, to measure kids’ play and learning outcomes. This research helps to inform innovative design and provides great feedback to schools and communities that have installed Nature Based Play Spaces. This project was the winner of the Premiers Urban Design award and Special Feature Urban Design Award in 1997. 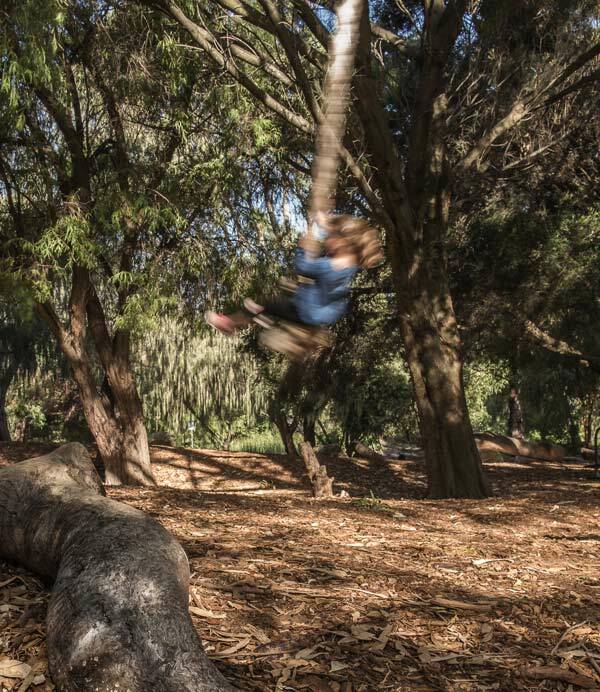 The Community Adventure Park was awarded both the West Australian and Australian Parks and Leisure awards 2016 of excellence for the best community nature play area under $500,000.